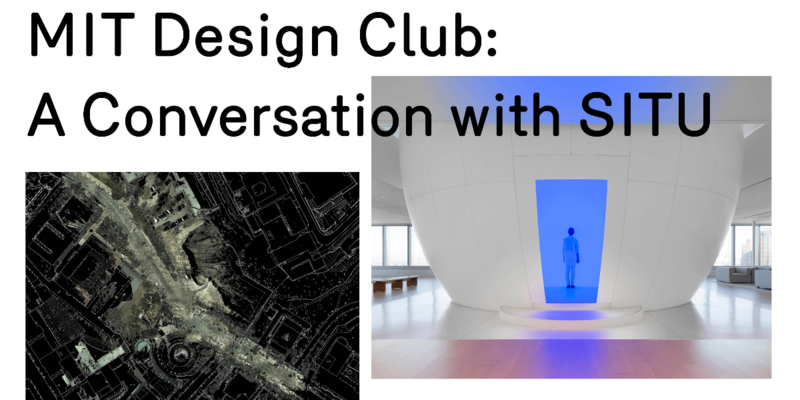 If you're interested in design thinking, entrepreneurship, or innovation more generally, join the MIT Design Club on Thursday, September 27 from 11:30am-1pm for a conversation with SITU, an unconventional architecture firm based in Brooklyn. An overview of SITU’s interdisciplinary practice will open up a broader discussion on design-thinking as an opportunity for entrepreneurship and problem-solving across a wide range of industries. Started in 2005 by four friends at the Cooper Union, SITU began with a desire to apply the architectural toolkit in new ways. From engineering pieces by artist James Turrell, to rethinking library branches for 21st-century uses, to mapping human rights atrocities — SITU leverages design-thinking to address a wide range of creative and social challenges.